My son is a TMNT addict. We cant go to toy stores anymore because the purchasing of evey TMNT toy is leaving me broke!! :-). He would love this DVD. I grew up with the TMNT. I especially remember having to watch many episodes when I would babysitting my nephew! My boys have always loved these characters. I would love to win this.. Grew up with the Ninja turtles! Thanks. My son used to play with Ninja Turtles and now my grandson is interested in them. I would like to win this for my granddaughter & grandson! (They live in the same house & I think he got her into them). I would give this to my little buddy Connor, I babysit he and his sister every now and then. For sure I have heard of the TMNT and we have lots of nephews that would love this! My boys would love to have this if I won. These were my sons favorite characters since he was a toddler. Would love to own the movies! Used to have every original TNMT toy, book, etc. etc. Now that I'm a ripe old 28, looking to recapture my youth. Yes I have heard of the ninja turtles I used to rush home for school to watch April Oneil and the turtles. I used to watch this show! I loved it! 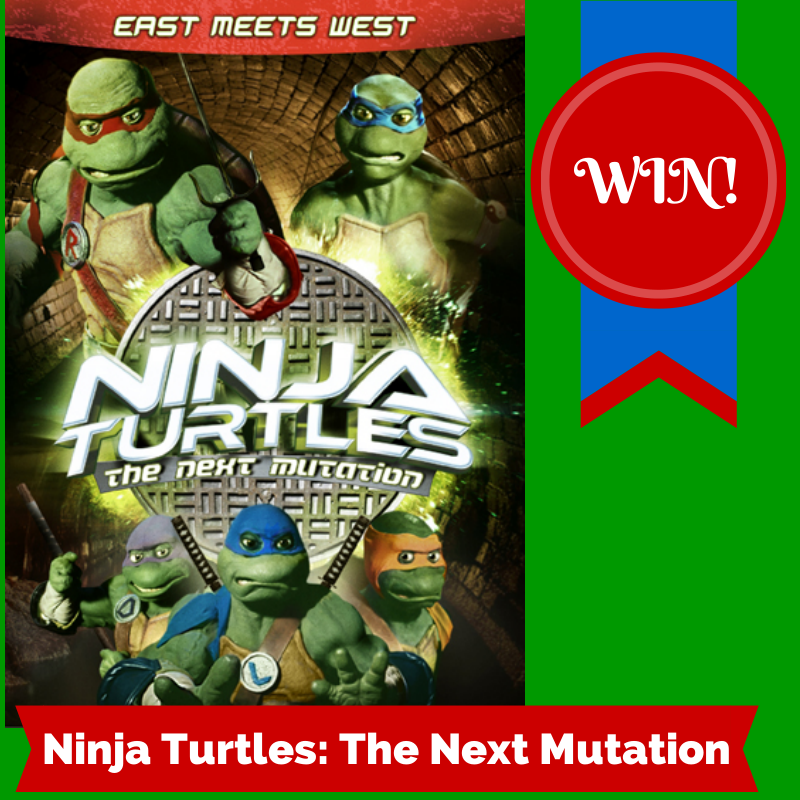 I want to win for my son who loves the ninja turtles! Ninja Turtles was one of the first movies I ever saw in the theatre as a kids. I used to watch Ninja Turtles when I was a kid, so nice to see my kids enjoying the show too. I have definitely heard of the ninja turtles. My brothers watched it as kids. I grew up watching TMNT. I was excited to hear that they were coming back. I would love to win for my son who is a big fan. I loved the Ninja turtles as a kid :) I know my son would get a kick out of this series. He is in love with the TMNT! teen age muntant ninja turtles ..... heroes in a half shell....turtle power!!!! yeah , ive heard of em. my fiance and i both love TMNT, and i would love to win this for my niece. I grew up a fan of TMNT.